Pool season has arrived! If your family is anything like mine, any time it’s time to head to the pool I try to quickly gather everything we could possibly need, make the trek to the pool and inevitably realize once we get there that we forget something. It drives me nuts! This year is going to be different! 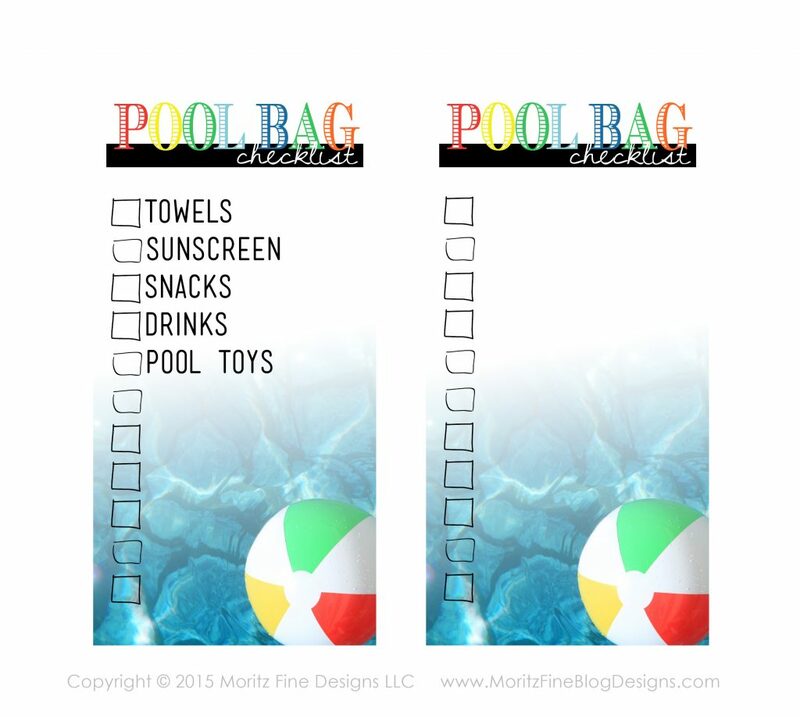 In order to be more organized I created a printable pool bag checklist tag. 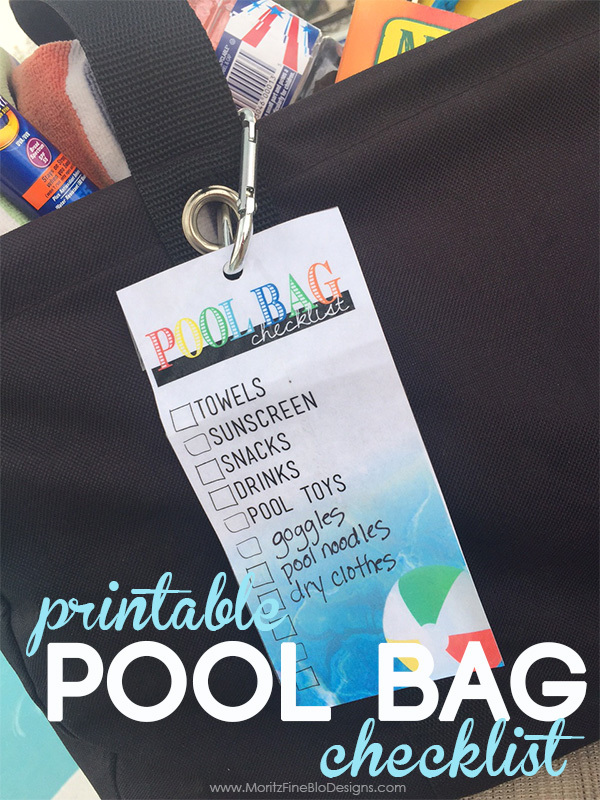 Simply print out the bag tag (card stock would be a great option to print the tag on, the thicker the paper the better) and add to it your list of items that you bring to the pool every single time you go. Be thorough. Then, use a clip of some sort (I used a carabiner clip) to attach the list to your bag. There are multiple goals here: first this will help you from forgetting anything you might need and second it gets your family members to help out! There is no reason mom needs to gather everything. 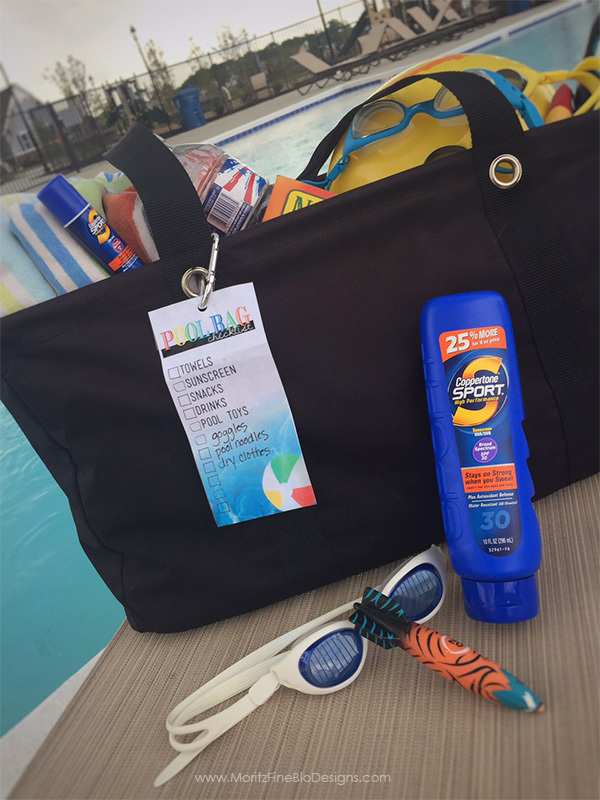 Now that the list is attached to the pool bag, have the kids gather everything and do a double check to make sure it’s all in the bag. In order the get the bag tag to last all summer long, I covered my tag in packing tape…on both sides. This will keep the water out. Another option would be to run your list to an office supply store and have it laminated (it’s really inexpensive). Need a really awesome pool bag? I recently found this pool bag and love the large size, light weight and all the pockets on the outside!